Joanna has been privileged to instruct basket weaving classes for over 20 years, but now her daughter & co-worker, Danielle, is taking over. She currently teaches for four community education programs in schools located in east central Minnesota. It’s always a joy to watch students of all ages creating baskets that they are so very proud of ~ an accomplishment many thought they never could attain! If you would like to try your hand at the age-old art of basketry, join us for one or all of the upcoming weaving classes. This is just the perfect little basket! Completed basket is 10” x 10” with 5.5” sides. The handle is hardwood and can be extended to 10” tall. Four extra stakes are added in the corner positions on this basket, giving it a lovely rounded edge. Color accents will be available. Are there ever enough containers for hats & mittens, craft projects, or books & magazines? 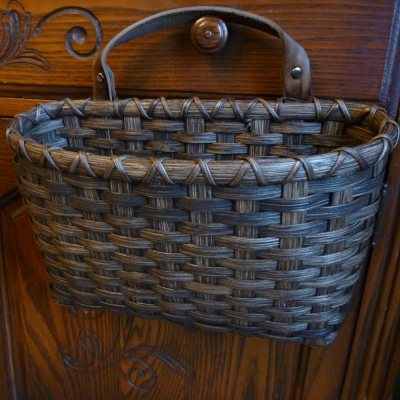 Why not make your own leather-handled basket that is both eye-catching and a great way to add more organization to your home. Specs: Base: 10” x 10”, Top: 13” round, Sides: 8 ½”. 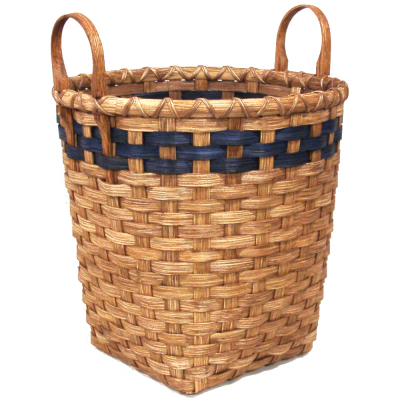 Handles: Leather Bushel Basket. With a 13” square base that flares into a 18” circle at the stop, this basket is perfect for storing just about anything. Sides that are 9” tall and leather bushel handles finish the project. 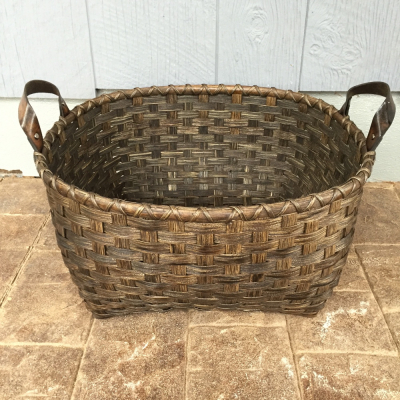 This is a great, functional basket that adds a bit of country flair to any room! The base of this basket is 7” x 7” with rounded 12” sides. The handles are hardwood bushel style. Color accents will be available. This project is perfect for the start of summer. 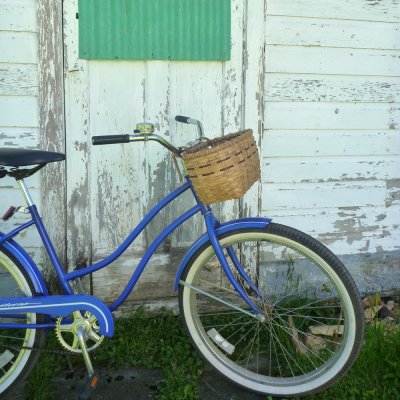 The bicycle basket is 8” x 13” x 7.5” with 2 leather straps. Accent color options will be provided.